Dublin food festival | SHEmazing! HomeTagsPosts tagged with "Dublin food festival"
January has been officially taken over by the vegans. If you haven't heard of Veganuary yet – it's when people sign-up to take part in going vegan for the month of January. Veganism is, of course, more than just a diet but the food is a massive part of the lifestyle. That's why Dublin will host the Vegan Foodie Festival from January 24 to 27. In its second year, the festival aims to show how easy and accessible it is to be vegan around the capital – and all at a special discount for participates. 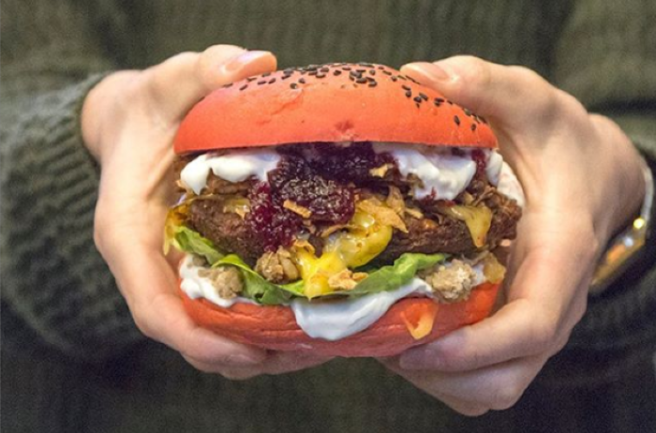 SHEmazing spoke to the organiser, Katy Morgan who explained that 22 vegan restaurants will be taking part this year. "We have 22 vegan or vegan-friendly restaurants on board, one beauty salon and two vegan bakeries," she said. Although the festival is currently Dublin-based, Katy hopes to expand and bring it to other cities in Ireland this year. If you've taken part in the popular foodie event last year, make a note that for 2019 you will need a ticket. The tickets are €2.50 each and Katy advises to hold onto the one you buy for the entire festival. Katy explained: "Tickets avail of all the special offers. All you need to do is to get a ticket and visit as many participating places with one ticket." "Show it before making an order and inform them that you are here to celebrate Vegan Foodie Festival," she added. Restaurants such as Brother Hubbard, Take A Veg, Sova Vegan Butcher and McGuinness's (Camden St) are all taking part in the foodie event. Participating restaurants, takeaways and cafes will be offering festival goers entertainment, new set menus, discounts and other special offers. So whether you're a vegan, plant-based, trying Veganuary or just fecking nosey – this festival is open to everyone and anyone. To be honest, you had us at the mention of food and a discount. You can get more info on the event and tickets here.